We love a bit of a whacky name story, and this is one of our all time faves! ‘Brockenchack’ is a blend of the names of owners Trevor and Marilyn Harch’s four grandchildren: Bronte, Mackenzie, Charli and Jack. The name alone is a giveaway that this boutique winery very much a family affair – just the way we like it. This gorgeous family just have the one (single) vineyard in Eden Valley – on the edge of the Barossa – with 40 acres under vine that has been producing for well over a century. Their Riesling vines date back to 1896 and are thought to be some of the oldest in Australia. While the Shiraz vines date back to 1927. And you already know how we love to embrace age round ‘ere! Made from some of Australia’s oldest Riesling vineyards, this old dame is still hitting all the top notes. Like a lone, pitch perfect tenor amidst a sea of over-harmonising boy bands. This is a Shiraz that stands out from the crowd. 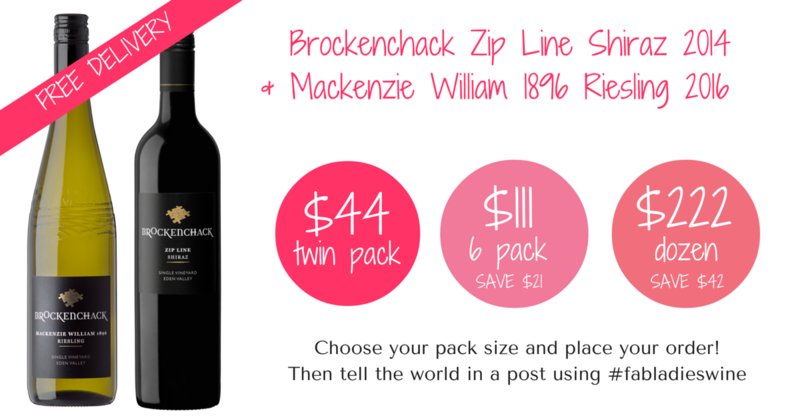 Enjoy buying the wines direct from Brockenchack! By purchasing your wine direct from the producer you’re supporting real people making gorgeous wines. Simply purchase your wines by clicking on the ‘Buy Now’ links above and you’ll be taken to the Brockenchack website to make your selection.